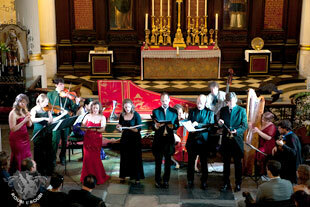 olivian baroque music was considered lost but was miraculously discovered by Polish priest and musicologist Fr. Piotr Nawrot who had been searching for the musical manuscripts which were hidden by the Indians after the Jesuits were expelled from Latin America 300 years ago. This music is a unique result of the interaction between two civilisations – with European foundations and seasoned by the flavour of Bolivian culture. I had an opportunity to make my Historical Performance MPerf Project based on the Bolivian Baroque Music. This concert had an exceptional atmosphere and energy and took place in St Magnus the Martyr in London 28 June 2012.
anda Landowska (1879 - 1959) is well known as a great harpsichordist, ambassador of ancient music and the "mother" of 20th century harpsichord tradition. But not everyone knows that Landowska was an excellent pianist too. 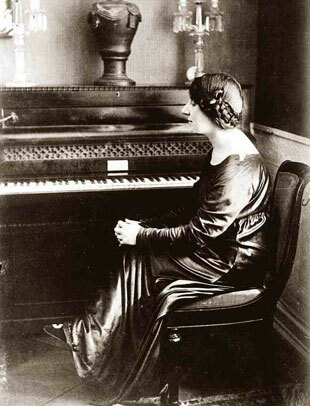 And I think almost nobody knows that Landowska was also a very talented composer. I thought that those musical treasures should definitely be presented to the public. In 2009, for the double anniversary of Wanda Landowska - the 130th of birthday and the 50th of her death – it was perfect excuse to arrange a special concert in the Fryderyk Chopin Academy of Music in Warsaw. I had the opportunity and honour to present the forgotten face of Wanda Landowska – composer.